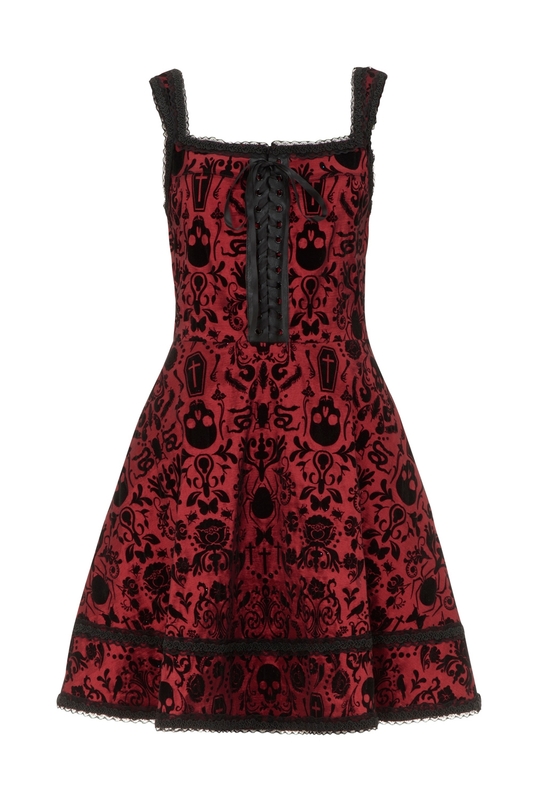 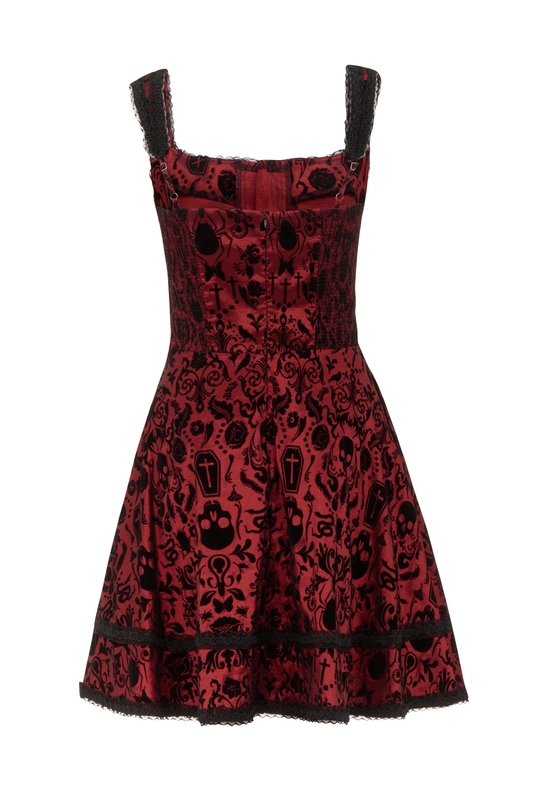 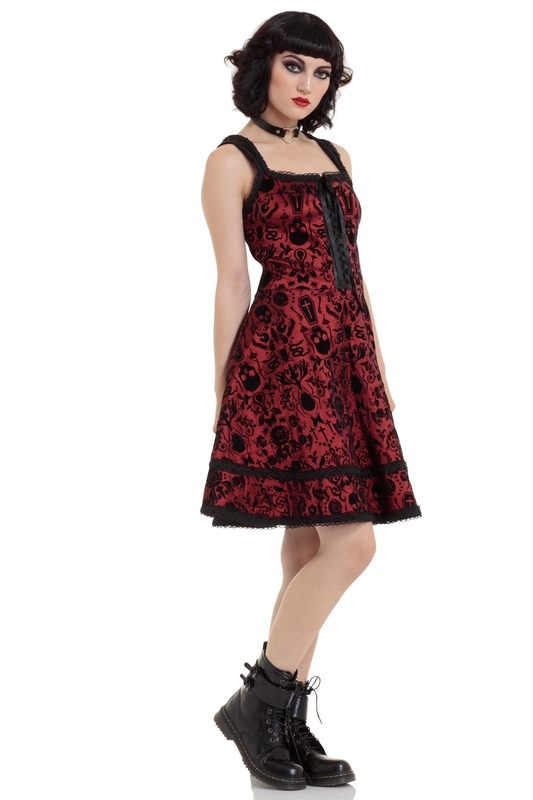 The whole coven will be coveting you in this little red number! 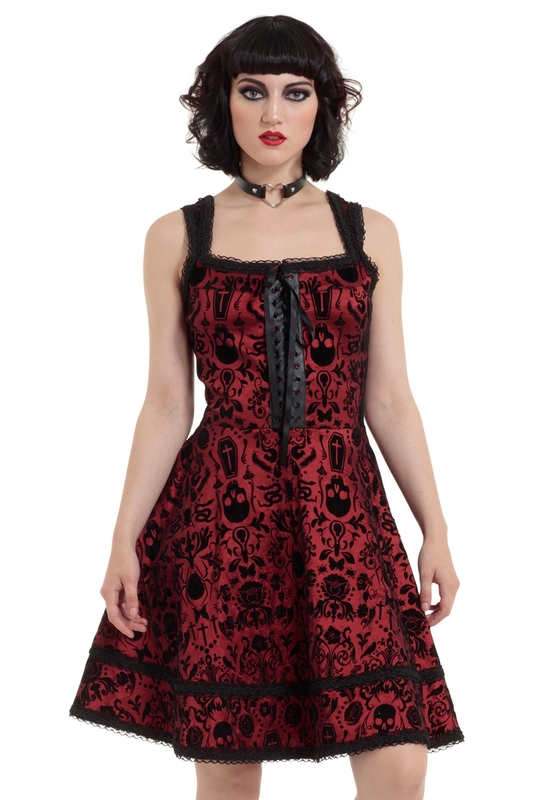 The spellbinding detail of the skull, floral and coffin motifs, are paired with lace piping and contrasted with the burly toughness of the tie up bodice. 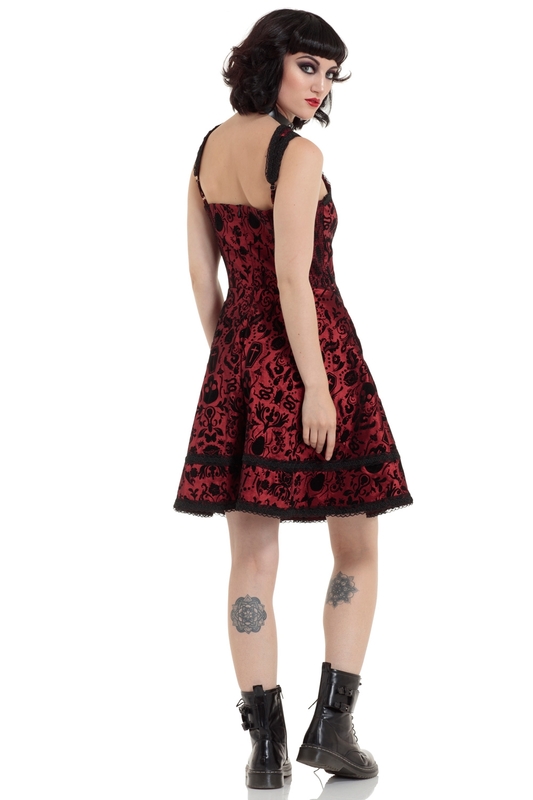 So, sorry we can’t hear you, we’ve already mentally flown off on our broomstick- coven out!